We offer Certificate, Diploma, and Advanced Diploma massage courses in Newcastle. Our courses are 1-2 weeks in length, intensive, and hands-on. Our massage courses in Newcastle are not like any other available in Australia. Although the courses are short, you will learn to massage in a way that will leave your clients wondering where you trained and how this massage is better than any other they have ever experienced. 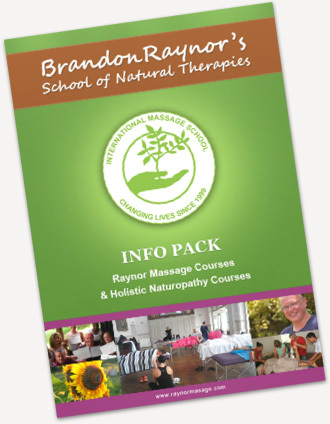 We offer our 5 day Raynor Massage Certificate Course and 10 day Raynor Massage Diploma Course. We currently do not have any courses scheduled for Newcastle during 2015/2016 but we do have courses in Sydney, Melbourne, the Sunshine Coast and in Hanmer Springs, a spa town on the South Island of New Zealand. Brandon Raynor talking on the theory and origin of the Raynor style of massage. Learn more about raynor massage. Here are comments from just some of our graduates. If you would like to contact a Raynor Massage practitioner to sample a Raynor Massage or ask them about our courses, please contact us and we can put you in touch with a local therapist. I’ve learnt more in 4 days than I did in a 10 week course I previously did plus I’m confident that I can perform on any client. Great environment, Great teacher, Great Class, Great time!!! I will be recommending this course to everyone. Its great knowing that I have learned more in 2 weeks then some who study for years. Thank you very much. Now I know what I am doing when giving a massage. I am astounded. I have had a life changing experience. I learned the true value and technique of massage. I will be grateful always. An unbelievable life changing experience.It was amazing to experience chi moving through peoples body and seeing emotions coming out. Superb, consistent and continuous. Very relaxed, encouraging and enjoyable environment. How wonderful that massage was that you gave me in the course and how much it has changed my life. As I mentioned, since my lung collapsing and being off the pill, my cycles were around 54 days long without ovulating. I had tried all kinds of herbs but after the massage, my next cycle was exactly 28 days with ovulating and, as a result, guess what…. I’m pregnant! An absolutely wonderful surprise and byproduct of an amazing therapy. I’m 13 weeks currently and have been really well, happy and healthy since the massage. only mentally but physically and biologically as well. So a BIG thank you for your amazing gift of healing. Todd and I are both so grateful and happy for all of your invaluable help. A Huge Inspiration!!! From my first 15 minutes on day one I knew I had made the right choice. Terry told us his personal reasons along with his experiences learning Brandon Raynor Massage Technique to teaching and travelling the world sharing such a powerful massage technique. “Wow” I remember thinking how easily I related to his previous working situation as I was coming from a financial accountants position which involved, stress, stress and more stress… to learn massage. The 10 day Brandon Raynor Diploma course run by Terry was fun, relaxing and the experience was awesome. Terry showed such passion and love for massage which made learning the Raynor Massage Technique easy. He’s high quality teaching methods, professionalism, life experiences and his understanding of different cultural backgrounds and needless to say Raynor Massage technique made this intensive hands on course very informative and an absolute pleasure to attend. Terry’s massage skills which I experienced hands on was mind blowing and definitely made a huge impact on my whole outlook on life physically and emotionally. I now feel I have found my purpose in life – to share the physical and emotional Healing Power of Raynor Massage. Thank you Terry and Craig, for your caring help and support! Do this!! Thanks Brandon! Class of 2009. Auckland , Browns Bay. I am a big fan of Brandon Raynor's School of Natural Therapies, I continue to be reaping benefits from his wonderful deep tissue massage. This has revolutionised my health and well-being as I have endured major surgery on 3 occasions; most of which was in my younger years... Brandon's deep tissue massage lifts out deeply rooted anxieties and stress hidden deep within various tissues, and the relief is wonderful and life enhancing. Also I have learned so much about flower essences from Brandon which has deepened my appreciation and knowldge of the sheer power of flower essences. He has given me flower essences readings too and these have had noteworthy effects on my life in such positive ways. I have purchased a number of excellent books on flower essences on Brandon's recommendations and I look froward in the near future to taking his Wholefood Nutrition course. I never thought the diploma course will be transformative. But, I experienced transformation at the last week of the course which enables me to see myself in a different way. I have to thanks Brandon for that, he is just an awesome human being... ...I learned excellent massage techniques too, but I learned more about myself after the course... I’m Looking forward to taking the advanced course in the future!